More signs and wonders: X9.3-class solar flare--the strongest solar flare in more than a decade on its way to Earth. 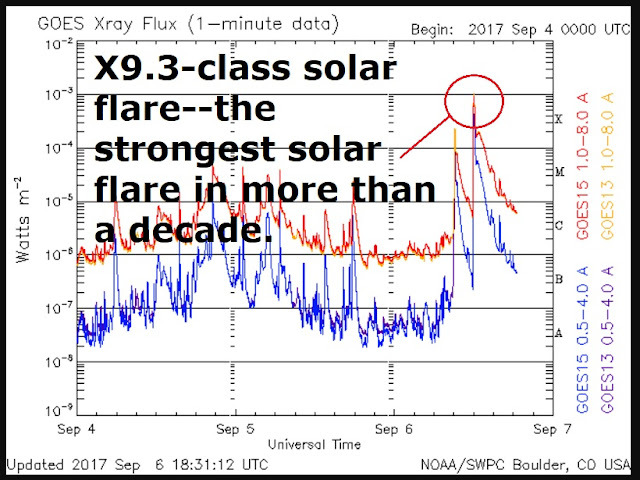 It is the 14th biggest flare since 1976. 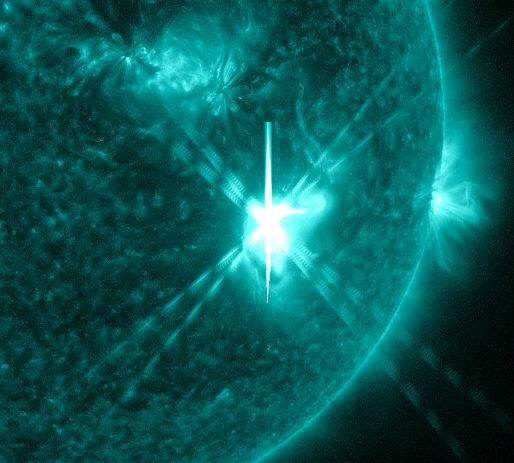 At 1202 UT, sunspot AR2673 unleashed a major X9.3-class solar flare--the strongest solar flare in more than a decade. X-rays and UV radiation from the blast ionized the top of Earth's atmosphere, causing a strong shortwave radio blackout over Europe, Africa, and the Atlantic Ocean. A CME hurled toward Earth also by sunspot AR2673 on Sept.4th is due to arrive later today. NOAA forecasters say the CME's impact could spark moderately-strong G2-class geomagnetic storms with isolated periods of strong G3-class storming on Sept. 6th and 7th.